While we’ve all been watching the crown and spire rise up on RBC Plaza, its parking deck accomplice has been slowly cleaning up. 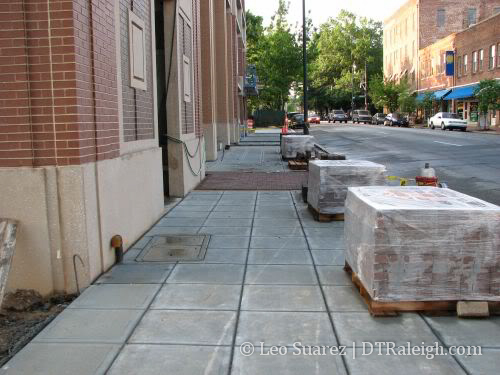 On Blount St., the sidewalk should open up soon as brick and concrete have been laid. 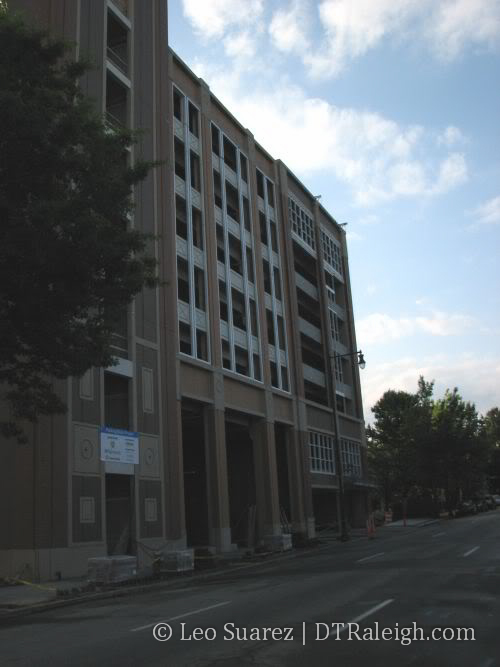 There are still more touches needed to the façade but for the most part, we can see what this end will look like. 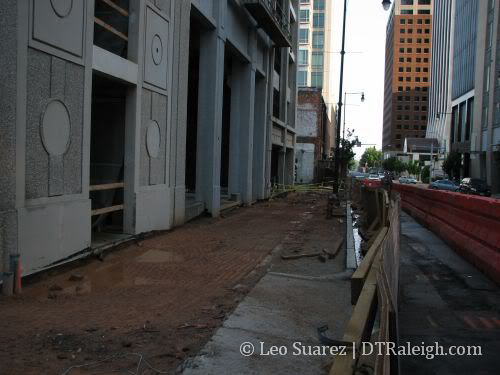 The Wilmington St. side needs a little more work as the façade is still bare and the sidewalk is all clay with a huge hole in one area. It looks like each side mirrors the other. There is space for one, maybe two retail spaces on each end. This is sandwiched in between the entrance/exit for cars and the stairwell/elevators. Any word what retail is going in each space? 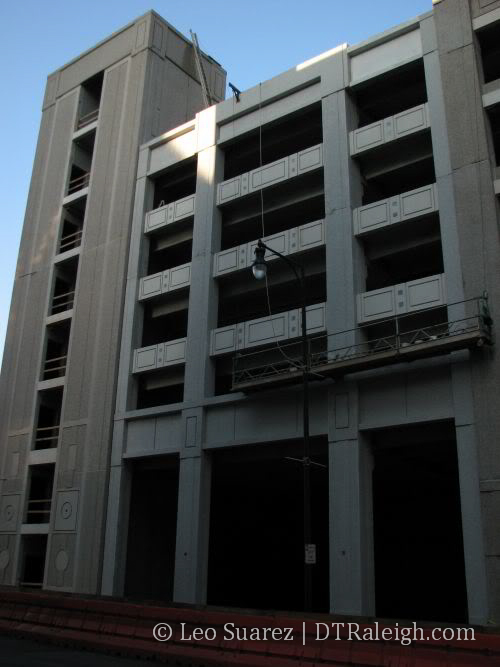 That is going to be one noisy retail space (unless they sound proofed that space from the parking deck noise). It would make sense if both were nightclubs or deli’s.